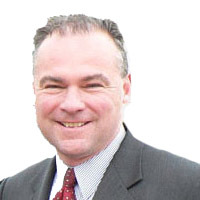 In a speech today in Erie, Pennsylvania, Democratic vice presidential nominee Senator Tim Kaine called out Donald Trump for his failure to disclose key information about himself. From standard financial information, to his foreign entanglements and ties to Russia, to his refusal to release credible information about his health, Trump has failed the test of disclosure that we expect of our presidential candidates. Senator Kaine laid out details of Trump’s long track record of alleged fraud, pointing out the questions this raises regarding Trump’s ability to be Commander-in-Chief and promote a strong economy. “Hey Erie! Good afternoon, what a beautiful day! And thank you to Boubacar Barry, give Boubacar a big round of applause, please. Boubacar and I were visiting a while back and he said that he was working as a sheet metal worker’s apprentice when this convention center was built. What a beautiful day, and what a beautiful time to be together with you in Erie. Thank you so much for coming. Are we going to win ten weeks from today? Are we going to win Pennsylvania ten weeks from today? Absolutely. It is such a treat to be here. Ever since I joined Hillary Clinton on this ticket, I have been traveling all over the country. I think I’m up to 25 states now in a little bit over 5 weeks, and we have been talking about our plans to create an economy that will grow for everybody, not just those here at the top. And we have started right here in Pennsylvania with a fantastic convention right here in Philadelphia. Wasn’t that a great convention? And as soon as the convention was over, we hopped on a bus and started a tour across Pennsylvania, East, West, Central, then into Ohio. It’s great to be back, and you’re going to see both Secretary Clinton and I back an awful lot between now and November 8 because Pennsylvania is very, very important. We’ve been talking about how to create this economy that grows for everybody. And while we’ve been doing that, the other guys have been talking about all kinds of things. Picking fights with a gold star family from Charlottesville, Virginia. Picking fights with other leaders in the party. We’ve been talking about jobs and growing this economy, and making it work for everybody. And that’s what we’re going to keep talking about because that’s what is the most important thing on Americans’ minds. I thanked Boubacar, let me do a couple of other thank-yous. When I came in today I had a great visit with your Mayor, Joseph Sinnott. I was a mayor in Richmond, and I love mayors, so thank you for your service. Give your mayor a round of applause. I also talked with the County Executive for Erie County, Kathy Dahlkemper, former member of Congress. She has done a great job. I met two state representatives. Representative Bizzarro and also Representative Fabrizio. Give them a big round of applause. Two people who are dear to my heart, and I started my political career as a City Councilman in Richmond. Won my first race by 97 votes, and I visited with both Sonya Arrington and Curtis Jones, from the City Council. Give them a round of applause. And I was very happy to hear my friend Katie McGinty come out and do a discussion about her Senate race about the importance of the presidential race. It will be so great to have Katie McGinty in the United States Senate, to join our good friend Bob Casey. Katie is doing an amazing job. She is a fighter, she is a fighter and that’s what it is going to take to win this election. So Katie, so glad that you’re here with us. You know, I do want to say this, the first time I’ve been in Erie since I’ve been on the ticket. Just to tell you how proud I am to be on the ticket, I’m still kind of pinching myself. It’s now been a little bit over five weeks, but it still seems a little bit surreal. I am so proud to be the running mate for Hillary Clinton, because I agree with what President Obama said she is about the most qualified person that anybody has ever nominated to be a presidential candidate in this country. Path-breaking track record as First Lady of Arkansas, battling for maternal health and education. First Lady of the United States, the CHIP program that gives 8 million kids insurance. A Senator from New York, I was governor at the time, we worked on military family support, we worked on support for the first responders in Virginia and New York who were injured in 9/11, those in Pennsylvania who were injured. She’s just a battler. Then she became Secretary of State, fought to make sure that women and children and their health and their advantages and opportunities was a fundamental part of American foreign policy. And she said, ‘You’ve been a city councilman and mayor. And you’ve been a lieutenant governor and governor. You’ve been at the state and local level before you were in the Senate, and I just have a feeling that you can help me make sure that what we do is grounded in, ‘Does it help people, or is it just something that is a nice headline or brochure.’’ That tells you something about her. And when you have somebody that qualified say that to you, I’ve got to say it’s deeply, deeply humbling. And I’ll go one further — here’s a reason that I was particularly excited to say yes. You know, if I’m honest with myself, I’ve been in politics now 22 years, I ran my first race in 1994. And I’ve been in all these different positions. My political career as a strong man in politics has been built upon the shoulders of strong women who are willing to support me. My wife Anne, who is campaigning in Pennsylvania today. She has supported me […]. I had to have women campaign managers and cabinet secretaries and agency heads and volunteers and donors. I just had all these fantastically strong women along the way who have been willing to support me, so I could be the guy with my name bumper sticker, my name on the yard sign, my name in the ballot booth. And when Hillary asked if I would play the Vice President on this ticket and be her VP and support her so that the Clinton administration could be transformative for this country, it just made me think of all the times when strong women have enabled me to be at the one on the top of a ticket. And I am honored, as a strong man with a great career in politics, to support somebody who is going to make history as the first woman president of this country, and then make history every day thereafter doing the right thing for our nation. And I know a lot of strong men who feel just exactly like me. That we have been supported by strong women and that it’s great to support a strong woman. There are a lot of issues in this campaign but I think the most important one is the one we laid out right at the start. And that is, we have got to make sure that we have an economy that works for everybody and not just a few. We have climbed down from the recession that we got into at the end of the Bush administration. President Obama, under his leadership, 15 million more new jobs, unemployment rate cut in half. And he should get a lot of credit because he hasn’t gotten help with one half of Congress and has had to do that work often on his own. But we also know that there is more to do. That the growth we are experiencing coming out of the recession is still not shared as widely as it could be. That we have to make sure that everyone all over this country sees ladders of success that they can climb and that’s what Hillary and I are focused on. In the first 100 days of the administration we are going to introduce in congress a bill with a number of components, research, manufacturing, infrastructure. I was talking to your mayor and county exec about this back stage. We’re going to make the biggest investment in jobs since World War II. And last week, we rolled out how an awful lot of our job investment is going to be focused on small businesses, which are the engine of job growth in Erie, in Richmond, and all over this country. This small business thing is personal to us. Both Hillary’s dad and mine owned small businesses. Hillary’s dad ran a drapery business that printed up draperies mostly for hotels in the Chicago area where she was raised. And my dad, and Boubacar told you a little bit about my dad, he ran an ironworker-organized welding and ironworking shop in the stockyards of Kansas City. These were small businesses with a few employees, like an awful lot of small businesses in this country. We know how important it is to help small businesses get off the ground. So, last week we unveiled a very detailed plan about how do you start small businesses, how do we find the resources to help them grow, how do we find the skills for the workforce. And how do we help solve some regulatory and other issues that can also get in the small — in the way of small businesses. We’re really happy that we’re out talking about this important, fundamental backbone of our economy. There was analysis done, an analysis done of the Trump economic plan and the Clinton economic plan. The analysis was not done by just like our own campaign staff, I’m not — I’m not going to tell you to ‘believe me’, as Trump says, I’m going to refer you instead to a company that’s called Moody’s Analytics. It’s one of the best non-partisan firms out there. And the director, their chief economist Mark Zandi was John McCain’s chief economist in his 2008 race. So this is not just coming from Democrats, right? Zandi and Moody’s did an analysis of the two plans and here’s what they concluded: if the Hillary Clinton plan is implemented for our economy, in her first term alone, America would create ten and a half million new jobs and we would accelerate the economic recovery. That’s very, very positive. That’s the Hillary Clinton plan. The good news is, you can actually go read the plan at hillaryclinton.com. Read all the details. How she’ll do it, who will benefit by it, and how we’ll pay for it. All there, on the website. Zandi also looked at the Trump plan, and here is that independent judgment of Trump. Under the Trump plan, we would face a ‘lengthy recession,’ and we would lose 3 and a half million jobs in the first term. So, it’s a difference between 10 and a half million gained, 3 and a half million lost — that’s the difference between Hillary Clinton and Donald Trump. The difference is 14 million jobs for American workers. That’s the difference in this race. Zandi even broke it down to Pennsylvania. He broke it down to all 50 states. And Pennsylvania, 414,000 new jobs under the Clinton plan, versus losing 135,000 jobs under the Trump plan. That’s a net difference of about 550,000 jobs right here in the Keystone State. We cannot afford to get this wrong folks. We’ve got to get it right. And that’s why, that’s why I’ve been saying all along that the choice on the economy is very, very clear. With Hillary Clinton, you’re going to get a ‘you’re hired’ president. And with Donald Trump, you’re going to get a ‘you’re fired’ president. It’s no accident that when we think of Donald Trump, we think of those two words: ‘you’re fired.’ Uttered with glee, uttered with joy. And no surprise what the economists are telling us is that’s exactly the kind of plan that he would put on the table if he were president. America cannot afford a ‘you’re fired’ president. We need to elect Hillary Clinton, a ‘you’re hired’ president. While we’re on the topic of jobs and getting hired, I’m actually in the market for a new job myself. I am interviewing for the job of Vice President. And that means that the American public — Pennsylvania voters, Virginians, everywhere — they ought to get a chance to take a look at my record. And Mike Pence’s record. And Hillary Clinton’s record. And Donald Trump’s record. The American public — Democrat, Republican, independent — deserves to know some basic facts about people who want to be elected to these highest offices. The burden is on us — not on you — to figure it out. The burden is on us who are on the ballot to prove to you that we’re up to that job. And when someone’s trying out for the most powerful position in the world, looking at their past history and behavior is the best indicator of what they will end up doing. Anybody can say some nice words when they want something. What have they done with their entire life? After all, we live in a world that’s chaotic and its uncertain. We need a president and a Commander-in-Chief who can effectively deal with the challenges that arise every day, some of which we know, some of which we can’t predict. They’ve got to be able to handle a crisis when it comes up and not bring on a crisis themselves. That’s why you voters tend to we ask candidates a few simple questions. You want to know if we’ll disclose our finances, so you can understand how we have managed their own household or business, and can see if we owe anyone anything. We want to make sure that candidates aren’t involved in any foreign entanglements that could impact our national security. And we want to know that they’re in good enough health to perform their duties. When candidates are on the up-and-up, they have no problem disclosing information on all these points. You have a right to know, you have a right to expect. And a candidate that’s on the up-and-up has no problem giving you the facts. People who run for office, or people who are in public service, tend to have had to do this because they’ve had to file disclosures over the course of their campaigns. But we’ve never had a candidate quite like Donald Trump. He has no comparable public record, and so we know less about him than we know about other candidates in modern history. And that makes these questions — about his finances, about his taxes, about his foreign connections, about his health — even more urgent than usual. Especially because he’s had his name connected to fraud allegations in everything from his bogus university to stiffing small business owners who went to work on Atlantic City casinos, some of whom went bankrupt when he didn’t pay them, to failed real estate deals that lined his pockets while others lost out, to possibly even inflating his own net worth. We know that he’s been involved in multiple bankruptcies. We know that he’s been involved in hundreds, actually thousands, of lawsuits. And that would seem to make it a little more urgent that we actually get answers from him about basic questions that American voters have a right to know. Donald Trump thus far has utterly failed to answer basic questions that American voters have a right to know. And today I want to take a little time to explain just how important that is. First, on financial information, we expect presidential candidates to disclose key financial information about themselves and their business dealings. It gives us confidence in their judgment and performance of anybody looking to run the U.S. government, one of the most sizable operations in the world. You’re going to run that, we ought to know something about you and your financial acumen. That’s why every presidential candidate in the last 40 years has released their tax returns for the public to see. Hillary just released her recent tax returns, just like she’s done for every year going back to 1977. Almost 40 years. How’s that for transparency, folks? How’s that for transparency? And once I was asked to join the ticket, my wife Anne and I released 10 years of tax returns so that the press and the public voters could analyze it and see what they wanted to learn about us. Donald Trump has encouraged others to release their tax returns, and Donald Trump even promised, he promised that if he ever decided to run for president, he would release his own tax returns. […] he’s under audit, and that prevents him from revealing the information. Richard Nixon released his tax returns when he was under audit. It’s hard to get kind of, not get over a low hurdle of the Nixon standard for ethics, but Donald Trump can’t even get over the Nixon standard for ethics. And just recently, the head of the IRS said that there’s absolutely nothing — I’m sorry, the head of the IRS under George W. Bush, said there’s absolutely nothing that would stop you from releasing your tax returns when you’re under audit. We know what’s going on, folks. We are not gullible people. Trump’s hiding something. And the only question is what? We know that some years, he has not paid taxes at all, because he’s had to produce income statements some years for casino applications in the 70s, 80s, and 90s — didn’t pay any federal taxes. We know he has been involved in multiple bankruptcies and thousands of lawsuits. Maybe he’s trying to hide that he’s not as charitable as he claims. Or maybe the self-described — these are his words – ‘king of debt’ is trying to hide how much money he actually owes, and who he owes it to. This is a big deal folks. He promised he’d released his taxes and now he won’t — what is he trying to hide? When you are running for president, America voters have the right to know who might have you on the hook. The New York Times just did an investigation into Trump’s mountain of debt. They concluded that he and his companies are more than a half a billion dollars in debt to many banks, and through his business partnerships, he is also more in debt, including to the state owned Bank of China. Now Donald will say he’s going to hold China to account. How can he do that when his accounts to China are in the red? How can he do that? Now with all this in mind, with all this in mind about Donald’s finances — what we know about them — and what we know about it being in […] to banks, including the Bank of China, is it any surprise that he is proposing a tax plan that gives trillions of dollars in tax breaks for Wall Street and the largest corporations? Is that any surprise? Is it any surprise that he is calling for the repeal of Dodd-Frank, the law that was passed to regulate the Wall Street institutions that tanked the American economy? Some of those institutions that he owes money to. Is it any surprise that he has a plan that would create new loopholes to help ultra-rich families like his, and to help investors who take on big debt-fueled projects like he does? Let’s be honest, it would be pretty hard as president to rein people in when you owe them – big time. And in Trump’s case, it looks to be, from the Times reporting, that he’s on the hook for at least $650 million. Even George W. Bush’s former chief ethics lawyer says that as president, the scope of Trump’s debt means that he would ‘be at the mercy of the banks.’ No one has ever entered the White House owing so much money to so many institutions all over the planet. And he’s going to tell us now, he’s going to hold them accountable when he’s indebt to them, and he’s proposing to eliminate regulations that have kept them from tanking the economy? It just doesn’t add up. Until he releases his tax returns, there is not one reason for one voter in this country to trust Donald Trump. He cannot be trusted. And it’s beyond just the financial situation. We want to know whether presidential candidates have any relationships entanglements that might potentially impact America’s national security. This past March, at a Republican debate, Trump was talking about his business acumen, and he said that he was in the midst of making about 120 foreign deals. 120 foreign deals. That’s 120 potential conflicts of interest, 120 opportunities for business elsewhere or governments elsewhere to influence what he might do as president. The only way you can figure out whether those conflicts are serious is to get the information and learn about it. I think he ought to level with the American people about who those deals are with, and what they’re all about – don’t you think that would be a good idea? Here’s what we do know. We don’t know what all the deals are but here is what we do know. Trump’s son has said on the record that, ‘Russians make up a pretty disproportionate cross-section’ of the Trump Organization’s assets. He has also said, ‘We see a lot of money pouring in from Russia.’ So that is what we do know. Recent investigations in the press have revealed that Trump’s been pursuing deals with Russian officials, oligarchs and developers with deep ties to Russia since the late 1980s. He got paid millions by an associate of Vladimir Putin’s to bring the Miss Universe pageant to Moscow. Don’t you think the American voters deserve to at least get to the bottom of why Trump’s relationship with Russia is so cozy? I mean, what does he have to hide? We deserve to get to the bottom of this. I know anybody with any connection to our veterans or military understands this so well. As long as he keeps hiding his tax returns we have no idea how he might stand to profit from Russia or what they might be holding over him. All we know is that something strange is going on here. Because, Trump’s former campaign chairman, Paul Manafort, resigned within the last two weeks after allegation of corruption and ties to officials in Russia and Ukraine linked to Vladimir Putin. That he had failed to lawfully disclose. That is Trump’s campaign chairman. Trump’s go-to defense advisor, Retired General Michael Flynn, regularly appears on Russia’s government-funded propaganda channel, and he was paid to attend a gala in Moscow where he sat two seats down from Vladimir Putin himself. Trump’s new campaign CEO, the new, his version three point zero or four point zero, campaign CEO Steve Bannon, runs an alt-right website that publishes articles advocating pro-Kremlin positions on Ukraine and other matters. Recently, the acting former Acting CIA Director, Michael Morell, said that he believes that Trump is acting as ‘an unwitting agent’ of the Russian Federation. Now, all of this has some very real implications for what kind of president Donald Trump would be. Do we really think he would help our allies block Russia from annexing more territory and destabilizing Europe? Where hundreds of thousands of Americans and tens of thousands of American soldiers live, do we really think Trump would stand up against them? And just imagine if Russia were to engage in a cyber-attack to destabilize the American electoral process, as it has done with other nations… Would President Trump stand up to them? Well, you know, we actually know the answer to that one already. Because Trump has publicly encouraged Russia to commit espionage and hack his political rivals. He came out and said that publicly at a press conference. And when he was challenged on it, he said, ‘Well I was just trying to be funny.’ That guy has a weird sense of humor, encouraging Russian cyber attacks on the American political process. Wow that’s just a laugh riot isn’t it? The guy — he is — there’s a wonderful phrase from the New Testament: ‘From the fullest of the heart the mouth speaks.’ When he opens and stuff comes out of it, you better believe it, because that’s the window into who Trump is. He’s encouraged Russia to already get in and screw around with our elections. And his close confidant, Roger Stone, says that he’s in contact with Julian Assange and Wikileaks – the group that’s helping spread stolen information, including stolen information from the United States. Now these facts, they’re facts, they’ve all been reported, lead me to conclude that Donald Trump poses a unique threat to American democracy, unlike anything we’ve seen in any presidential election in my lifetime. And he can put these concerns to rest if he would be willing to disclose what other presidential candidates disclosed. This isn’t a partisan issue, because candidates of all parties do these disclosures. And there’s widespread alarm on the issue on both sides of the aisle. Dozens of prominent foreign policy experts have expressed the same concern. They don’t understand why Trump is talking openly about abandoning our NATO allies. They don’t get why he suggests that America should just accept the Russian takeover of Crimea. They don’t understand why he’s celebrating the United Kingdom’s vote to leave the EU, even that could lead to a more fractured Europe. Our security professionals don’t understand Donald Trump’s behavior. It just doesn’t make sense unless there’s some material there that he’s not giving us that would suddenly make it very, very plain. Every one of these positions stand in total opposition to decades of our longstanding national security interests. And until he explains these troubling ties on national security issues, there is not one reason why one American voter should trust Donald Trump. Finally — and this is an interesting one — I was amazed that Donald Trump brought this into the election. Every presidential candidate should prove to the American public that their healthy enough to take on a very tough job. Right? They should do that. That’s fair, that’s fair. And for some reason recently, Donald Trump started to trade in internet conspiracy theories from the fringes of the internet, suggesting that Hillary Clinton is in poor health. Can I give you an up close and personal on this? I have been on the trail with Hillary for five weeks, and I can barely keep up with her. I had been on the ticket for five weeks. She has been running on full speed for 17 months. I can tell you that Hillary Clinton is one tough, and one healthy person. Very, very tough, and very, very healthy. But I thought it was interesting that Trump would start into this. Remember, Trump is the guy who released a medical note from his doctor that said, quote, ‘His physical strength and stamina are extraordinary.’ And it even said that at age 70, Trump would be, quote, ‘The healthiest individual ever elected to the presidency.’ I’d like to see him go one-on-one with President Obama but that’s for another day. According to his doctor, ‘Trump will be the healthiest individual elected ever to the presidency.’ Wow, that’s a strong statement. Well, this week we learned that Trump’s doctor admitted that he wrote that note in five minutes. Trump sent a limo over to pick up a letter from him. As the limo waited downstairs, he wrote this note up very quickly. And this is either too funny to be true or too true to be funny, I can’t decide. He says the words he used, he used them because, ‘He thought they would make his patient happy.’ I mean, is that the standard for what the American voter is entitled to, in terms of the information about the health of the guy running for president? Hillary, on the other hand, has released a proper, detailed set of doctor’s notes and records, from a credible physician. So here’s the bottom line. Hillary Clinton has met every test of disclosure we expect of presidential candidates – and in many cases has gone even further. Donald Trump has failed all of these tests miserably. I don’t know, I don’t even know that you could say fail, you would say incomplete or didn’t show up for class. He hasn’t even delivered the records at all! I’ll tell you this, as I watch this thing, his Trump campaign just feels like Trump’s next big con, his next big con. He’s hiding his tax returns and his financial bill of health. He’s trying to cover up his web of foreign engagements and conflicts of interest. And he won’t release credible information about his health. Donald Trump, it’s time for you to come clean. Release your tax returns. Explain your business interests. Start telling the truth. Because Americans, Democrat, Republican, and independent, are entitled to the truth. It’s like he thinks we are gullible. It’s like he thinks we are suckers. It is like he thinks we are marks and that he can con us. Pennsylvanians aren’t gullible. Americans aren’t gullible. Whether you’re a Democrat, Republican or independent, you’ve got a right to know about the person who is running to be your president or Commander-in-Chief. You’ve got a right to know everything you need to know to judge whether a candidate will work for you, will work for the country, or is only in it for himself. So Erie, I’m here to say, don’t get tricked by Trump. Don’t get tricked by Trump, America. Because that’s what he’s trying to do. And he thinks we’re gullible enough to let him get away with it. We’ve got to show him that we’re not gullible at all. I’ll just conclude and tell you, we’ve got to win this thing. It’s ten weeks from today. And I feel good about winning. As I look at the polls, whether it’s Katie’s polls, or our polls in Pennsylvania or Virginia or elsewhere, I see a lot to like. After the convention we got a little bit of a bump. I wouldn’t trade places with the other guys right now. I like where we are. But let’s just be honest about this race. It’s going to be tough. It is going to be tough. It’s going to be tough because, whatever the polls say today, we’ve lived — we’re living in a season of surprises. Polls have been wrong, pundits have been wrong, primaries that were supposed to go one way came out another way, and most of us didn’t correctly predict that the Grand Old Party of Lincoln would nominate Donald J. Trump as their nominee. It’s been a season of surprises. And second, we live in a world where after Citizens United, anybody can buy a 100 million, 200 million, whatever hundred million dollars worth of TV ads, call themselves ‘Citizens for Apple Pie,’ not tell you who they are, run an ad, put all kind of lies on the air and make it as negative as they can. You can’t even connect them with the lie. That’s what the Supreme Court and others have opened up the door, and we see that money being spent. You’ve seen the ads, Katie, you’ve had those ads run against you. I did too, when I ran for the Senate in 2012. So you’ll see a lot of that in the next ten weeks. And, I mean add to this, Hillary’s trying to do something nobody’s ever done. If it were easy for a woman to be President of the United States, then a woman would have been President of the United States. It is — we live in a country where we know we haven’t had a woman president, but we also just ought to acknowledge: right now in Congress, 19% women. That’s the best we’ve ever been in this country and that ranks us about 75th in the world. Iraq is 26%, Afghanistan is 28%, Rwanda, number one, is like 65%. We’re good at so many things that we should feel proud about. But part of being proud and confident is also being able to acknowledge the things we are not so good at, and electing women to federal office has just not been one of the things that we’ve been good at. So, whatever the polls, if you look at it, season of surprises, Super PAC money pouring in, trying to do something that’s never been done before. When you look at that, you’ve just got to say to yourself, ‘This is going to be very, very hard.’ The next 70 days will be extremely difficult. Now I know most of you are probably already well gathering in. I love looking out and always seeing the House of Labor represented because the t-shirts tell me where the labor folks are. Labor is deeply involved in this. So many others are volunteering. But if you are here and you’re not yet signed up to be part of the volunteer effort, head to the local field office here in Erie to volunteer. Okay there we go! Right there! They are waiting for you. One three west 18th street. 113 W 8th Street. You can also text ‘Together’ to 47246 to volunteer in Pennsylvania. You can register up to October 11th. Katie, is that right? October 11th. So plenty of time to register or encourage others to register. So I will conclude and just say this, I am eight and zero in elections. I have never lost one and I am not going to lose this one. I am not going to lose this one. I will be honest. I will be honest. Because when I say I am eight and zero in elections you may think, well heck I must be great. I barely win my elections. I mean, I run in tough real estate. When I run in tough elections, they are always close, I always make my friends and family extremely nervous. In Virginia, it’s is like how do you know a Tim Kaine supporter? They have chewed all their fingernails off. But I will tell you the way I’ve won eight races. I will tell you the way I go to be eight and zero in a tough place. I’ve put this in the back of my head every time I’m getting ready to go out and run a race. I am the underdog until they call me the winner. I am the underdog until they call me the winner. Now, Hillary Clinton is that same kind of person. I have gotten to know her quite well while I am going through this fox hole experience. She has that same attitude: ‘I am the underdog until they call me the winner.’ It is going to be tough, but we have something that they don’t have and that is you. We have volunteer energy, we got field offices, we got organization. The TV adds kind of wash out at the end of the day because the Americans watch them and they are just not sure they can believe anything on TV anymore. They will still believe a person-to-person contact; they will believe a word from a friend or a co-parishioner or somebody they’re in school with or somebody they work with. Not only will they believe it; they’re hungry for that word, they’re hungry for somebody that they know to take the time to listen to them and answer their questions and talk about this important issue — who is the next president. And guess what? Even if they don’t know you, if you call them or talk to them at the door and say, ‘I’m a volunteer,’ and they don’t know anything about you other than that, what they will know is, ‘this person didn’t have to do this. It’s important enough for this person to volunteer,’ and they will open up to you in a way and give you the opportunity — to persuade them in a way — that no TV ad, no hundred TV ads, could ever do. And so, let’s have that underdog mentality, that in some ways, that is a little bit who we are as Democrats. We are kind of underdog people who like fighting for underdogs. In my church, we kind of think of them as good Samaritan people; we like fighting for underdogs. If there’s somebody at the side of the road who need a hand, we’re not the folks that walk on by. We’re the folks that go over and help them out. There are people out there who need that, and our nation needs that right now. We cannot afford to get this wrong and Pennsylvania, the Keystone State, is key to us winning so thanks Erie for coming out, giving me such a great welcome today. Let’s do all we can to make sure that Hillary Clinton is the next President of the United States. We’ll make history on November 8th, and then we’ll make history every day thereafter as we build that economy that works for everybody.